Formula One's silly season is particularly silly this year. Any rumor of where a driver might land seems feasible. And today, the rumor is that Lewis Hamilton will return to McLaren in 2015. Say what? According to F1 Today, the 2008 World Champion has signed a deal to return to Woking and partner Kevin Magnussen in 2015. If true, this is a huge bombshell, since it has been widely reported that Fernando Alonso will be leaving Ferrari at the end of 2014 to join McLaren (or to go cycling?) and lead the Honda-powered team back to glory. Lewis was in the Woking factory three weeks ago. He arrived by helicopter, had a conversation about two hours with the management and then left with a big smile on his face. He signed here, I can assure you. A seat fitting has not happened yet, but that will take place in the foreseeable future. Emphasis at the end is mine. 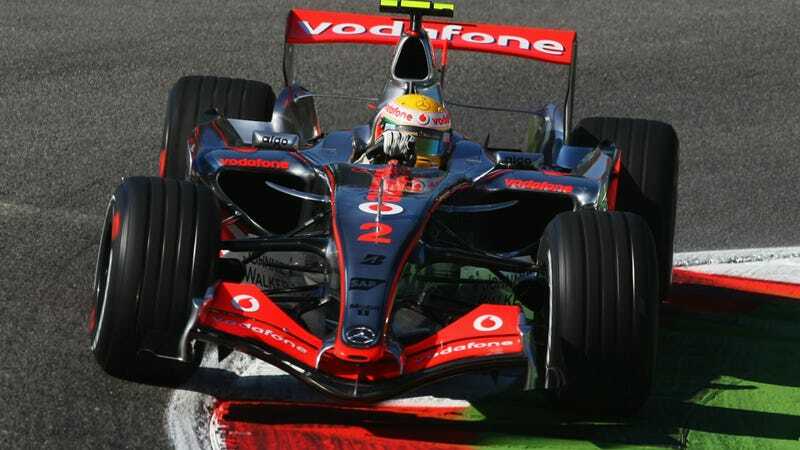 Lewis drove for McLaren from 2007 until 2012. Wouldn't they have the molds for his seat still? Or maybe because he's grown his hair out a little, the seat has changed massively? I guess we'll never know. If Lewis-to-McLaren-With-Magnussen happens, that leaves a number of questions on the table. First, yes, Lewis is having a bit of an intra-team battle with Rosberg right now, but he's also in the best car... by a vast country mile. Why leave? Second, Alonso has been heavily linked to McLaren. If Lewis goes to Macca, Alonso probably wouldn't want to return, mainly because of the acrimonious split that occurred after he teamed with Lewis at McLaren in 2007. F1 Today says he could go to Lotus (no way) or take a year off (unlikely). Also, what will happen to Jenson Button? Apparently he'll be "farmed out" to somewhere like Porsche, which F1 Today says has offered JB a role in their WEC program, presumably alongside Mark Webber. This new rumor leaves us with more questions than answers. We'll have to wait and see if Lewis really does head back to McLaren or if this is just a case of F1 mad libs.